WarSport Team Challenge winner, 3-Gun Nation Pro and 2015 IPSC Shotgun World Shoot USA Junior Team member Nate Staskiewicz joins us to talk about practicing with pros, regimented dry fire and the incredible matches that he is shooting in his 15-match 2015 season. How to make the most of your practice time by setting up multiple scenarios with the same targets. How to treat 3-Gun as a normal high school sport with set practice times after homework when you’re a junior shooter. Why going to McDonalds for an Egg McMuffin and an OJ is Nate’s pre-match ritual and it should be yours too! 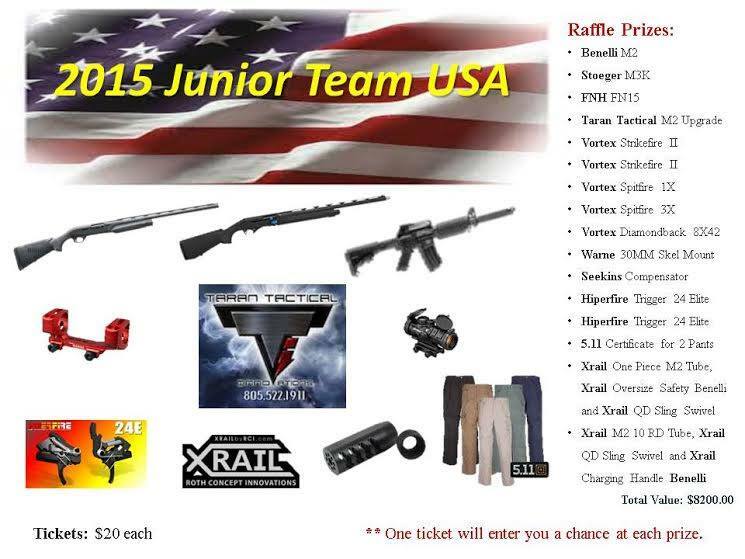 Help support the Junior USA Team travel to Italy!The Junior USA Team (Katie Francis, Nate Staskiewicz, Tim Yackley and Brian Hampton) will be competing at the 2015 World Shotgun Championship in Agna, Italy in September. They are looking for donations to raise money for their travel expenses. Each $20 donation equates to a ticket in a prize drawing consisting of more than $8,000 in prizes! Please Donate and Share our post. Thanks in advance for your support for the Junior USA Team! A big thanks to Nate for being an awesome guest on The 3-Gun Show!